Great pictures Kim! I'm glad you got it running and it's nice to see it got some air time as well. Uncle Wayne looks like he enjoyed being part of it as well! Very nice! I've been so busy this past week that I didn't have a good chance to really look at your pictures so I waited before I said anything. Thank you once again for taking part! Admin wrote: Great pictures Kim! I'm glad you got it running and it's nice to see it got some air time as well. Uncle Wayne looks like he enjoyed being part of it as well! Very nice! Thank You Jacob! Yes, it was a great time! Wayne still likes these machines, and we're gonna try to have more flying sessions this year. Our 'Guy's Day Out' now mostly consists of runs to Walmart for supplies and he's usually spent by the time we get home, so I'll be doubling up on the visits to have a morning where the planes are the only things happening. The W.S.T.E. is now on it's was to Bill-gwilliefox, we traded P.M.'s before it was launched...and he should have it by Monday. 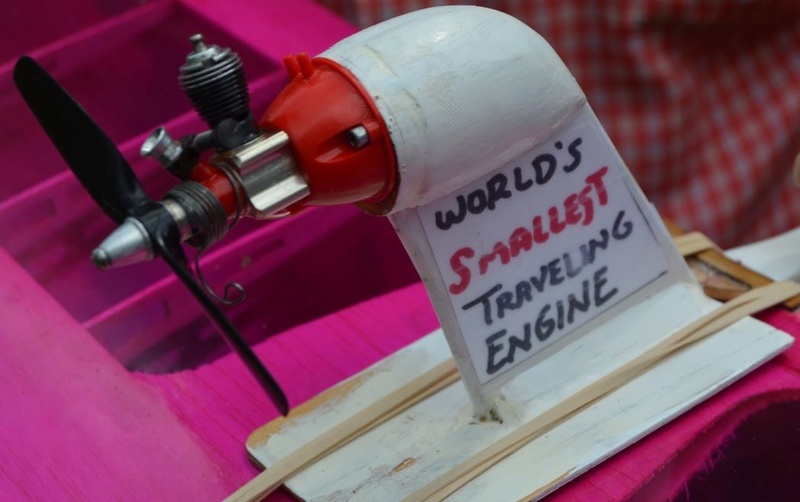 Thanks again to all involved in the World's Smallest Traveling Engine !!!! Showing the W.S.T.E. as 'delivered' to Bill 'gwilliefox' on Monday, but haven't gotten a P.M. reply yet. Please shoot me a note if you got it. I am supposed to be on the list and wonder if there is a way to estimate when the engine may come around? Given my distant location from the rest of participants I am contemplating to sign off in order not to further elongate the engine's travel unnecessarily for others behind me on the list..
That is a Cool Picture! I think I'll have some pasta and Red Wine! Cheers! Fred it is a 600miles drive mostly on highways taking about 8.5 hours net...or gross if I drive alone and my intercontinental bladder allows an uninterrupted drive...but you know how it is when your wife sits on the passenger seat. Beautiful picture Balogh! Hang in there, however long it takes, you should be able to have your turn with the Traveling Engine someday. Anyone hear from Bill (GWILLIEFOX) lately? That background would look nice with a red tank 1/4-A Tee Dee In Cox of the Month Contest. Did you E-mail Bill to see if you can get him and things are good ?! I don't have his info other than here .. Hea Guy's ! All is well. I'll be running it at the MECA National Collecto at AMA in Muncie Sept 24 then get it back on the road. I got called out of retirement for the third time to work on some new steel mills. And look at my feed (gw mohrbacher) on YouTube running diesels. I bet the diesels were more fun ! are you mixing your own fuel ? the engines sound good ! Kim wrote: I was getting ready to mail the W.S.T.E. to Bill (Gwilliefox) this Friday as his name seemed to be next. Make sure you make contact before you send it. We wouldn’t want it waiting on the porch while he is on vacation for a month. Yep! Bill and I traded PM's yesterday and he knows it's coming. I'll get another PM with tracking # to Bill tomorrow after it's sent on it's way. 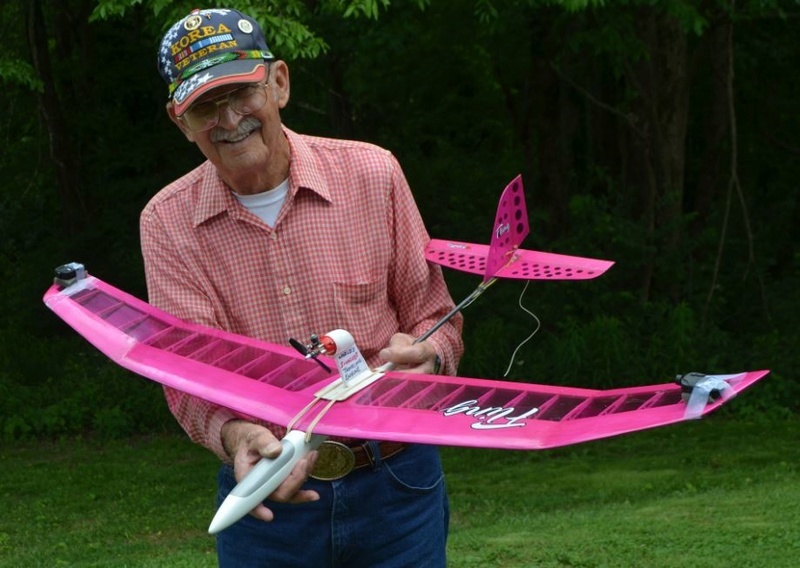 I HAD hoped to fly it over my Uncle Wayne's house today, but the winds were too much, so he kindly agreed to pose with it and the Fling! Kim, what beautiful photos you have left here .... beautiful! The guy ( tío ) is already very famous here! Hey friend! ... 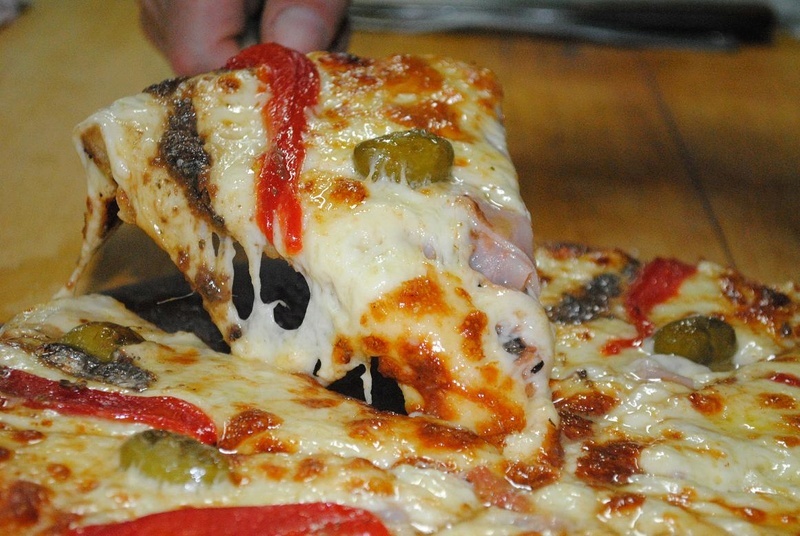 I know that pizza !! András ... a beautiful photo ... full of nostalgia with that landscape in the background ... beautiful! Thank you Mauricio..you may remember for some time I thought you are Italian and only later I learnt that you are from Argentina. .I believe the landscapes and Latino-architecture should be similar in both countries? Heck yea I still have that Pizza Pic Make me hungry every time I see it and think of my friends on the other side of the world ! !